赵京, 张自强, 郑强, 等. 机器人安全性研究现状及发展趋势[J]. 北京航空航天大学学报, 2018, 44(7): 1347-1358. ZHAO J, ZHANG Z Q, ZHENG Q, et al. Research status and development trend of robot safety[J]. 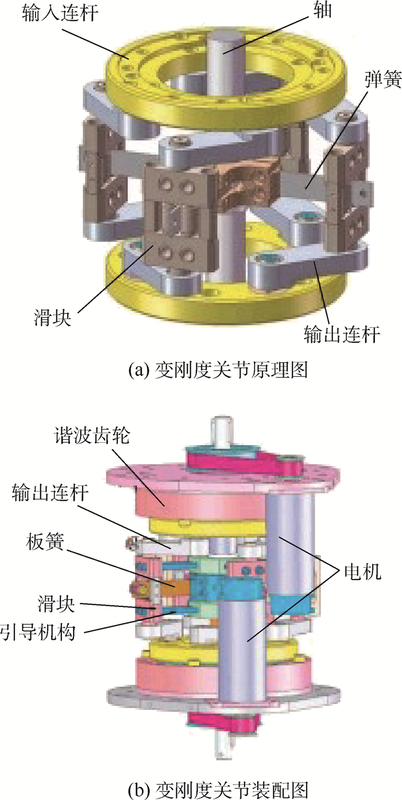 Journal of Beijing University of Aeronautics and Astronsutics, 2018, 44(7): 1347-1358. Abstract: With the robot gradually used in many fields of production and life, safety has become one of the important research directions of robot. According to different research objects for robot safety, research status of robot safety at home and abroad is expounded from two parts, namely self-safety and interaction safety. 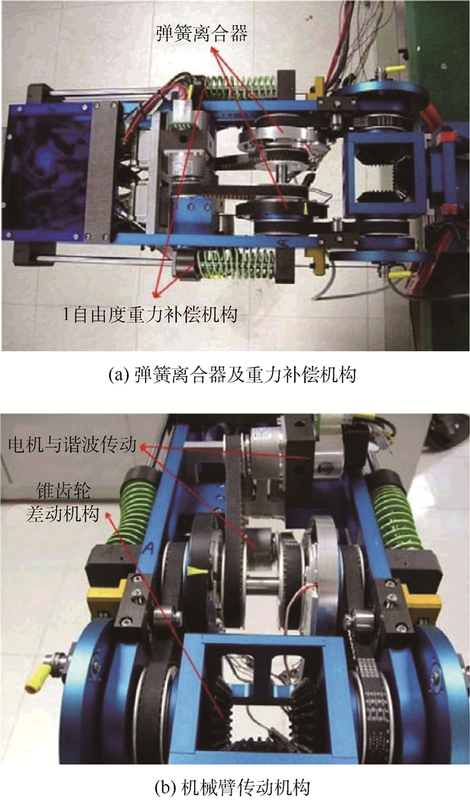 The role of mechanical structure design and control algorithms in improving robot safety is analyzed. On this basis, the existing problems, such as too traditional structure design method, weak judgment of unexpected situation and lack of control compliance under complicated conditions, are analyzed, which limit the popularization and application of robots. 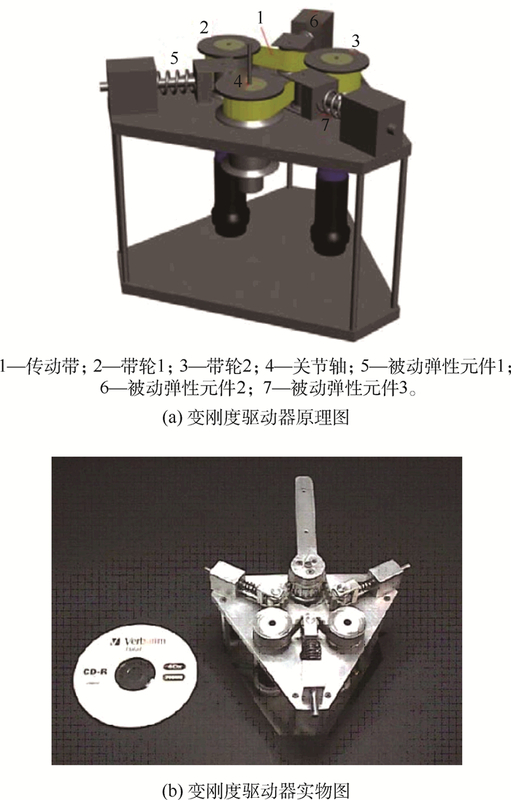 The development trend of robot safety, such as rigid flexible hybrid mechanism, accurate and fast environment judgment and good compliance control, is proposed. GUIOCHET J, MACHIN M, WAESELYNCK H. Safety-critical advanced robots:A survey[J]. Robotics & Autonomous Systems, 2017, 94	: 43–52. 龚建伟, 陆际联, 高峻尧. 移动机器人失控的安全防范[J]. 机器人, 2003, 25	(4): 300–303. AVIZIENIS A, LAPRIE J C, RANDELL B, et al. Basic concepts and taxonomy of dependable and secure computing[J]. IEEE Transactions on Dependable & Secure Computing, 2004, 1	(1): 11–33. 胡政. 机器人安全性工程研究综述[J]. 中国机械工程, 2004, 15	(4): 90–95. 付乐, 武睿, 赵杰. 协作机器人安全规范:ISO/TS 15066的演变与启示[J]. 机器人, 2017, 39	(4): 532–540. International Organization for Standardization. Robots and robotic devices-Safety requirements for industrial robots-Part 1: Robots: ISO 10218-1: 2011[S]. Geneva: ISO, 2011.
 International Organization for Standardization. Robots and robotic devices-Safety requirements for industrial robots-Part 2: Robot systems and integration: ISO 10218-2: 2011[S]. Geneva: ISO, 2011.
 International Organization for Standardization. Robots and robotic devices-Safety requirements for personal care robots: ISO 13482: 2014[S]. Geneva: ISO, 2014.
 International Organization for Standardization. Robots and robotic devices-Collaborative robots: ISO 15066: 2016[S]. Geneva: ISO, 2016. 向以舟, 陈革, 丁立宇. 机械产品的可靠性设计与试验[J]. 西南师范大学学报(自然科学版), 2008, 33	(1): 131–134. YAMADA Y, YAMAMOTO T, MORIZONO T, et al. FTA-based issues on securing human safety in a human/robot coexistence system[C]//Proceedings of IEEE International Conference on Systems, Man, and Cybernetics. Piscataway, NJ: IEEE Press, 2002: 1058-1063. 付煜茗. 机电设备可靠性理论研究与应用[D]. 北京: 北京邮电大学, 2014: 1-5. FU Y M. Research and application of reliability theory of electromechanical equipment[D]. Beijing: Beijing University of Posts and Telecommunications, 2014: 1-5(in Chinese). 李锡江, 刘荣, 张厚祥, 等. 基于模糊故障树法的清洗机器人安全性研究[J]. 北京航空航天大学学报, 2004, 30	(4): 344–348. MAURTUA I, IBARGUREN A, KILDAL J, et al. 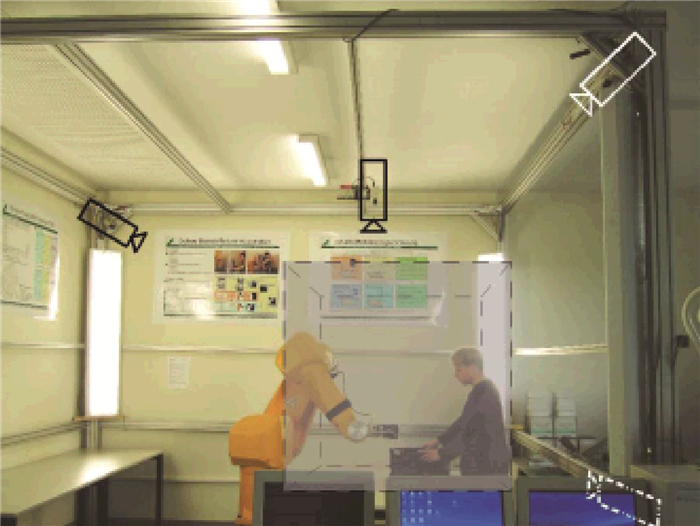 Human-robot collaboration in industrial applications:Safety, interaction and trust[J]. International Journal of Advanced Robotic Systems, 2017, 14	(4): 1–10. FRYMAN J, MATTHIAS B. Safety of industrial robots: From conventional to collaborative applications[C]//Proceedings of 7th German Conference on Robotics. Piscataway, NJ: IEEE Press, 2012: 1-5. 颜云辉, 徐靖, 陆志国, 等. 仿人服务机器人发展与研究现状[J]. 机器人, 2017, 39	(4): 551–564. 王保国, 王新泉, 刘淑艳, 等. 安全人机工程学[M]. 北京: 机械工业出版社, 2007. IKUTA K, NOKATA M. General evaluation method of safety for human-care robots[C]//Proceedings of IEEE International Conference on Robotics and Automation. Piscataway, NJ: IEEE Press, 1999: 2065-2072. CHOI D, CHOI J, CHO C, et al. 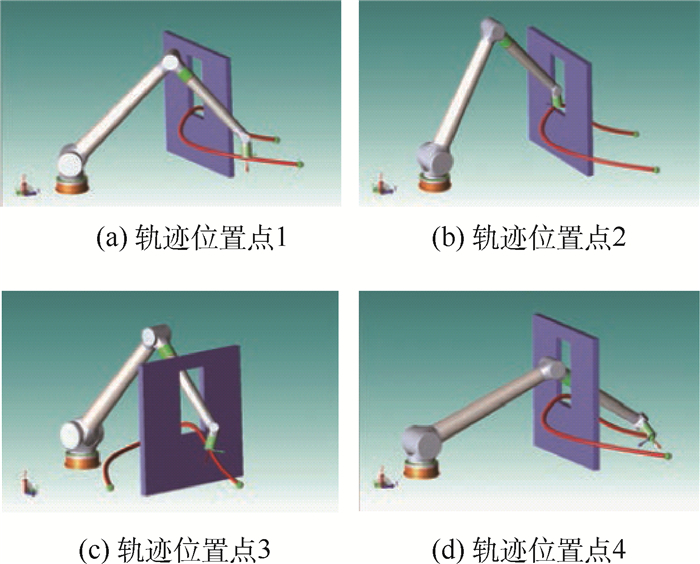 A safe robot arm with safe joints and gravity compensator[J]. International Journal of Control Automation & Systems, 2013, 11	(2): 362–368. 吕宁. 一种医疗机器人安全性机构设计[J]. 科技展望, 2016	(4): 161. 徐丰羽, 王兴松, 许家林. 缆索检测机器人安全回收机构设计与分析[J]. 机器人, 2008, 30	(5): 447–452. 熊根良, 陈海初, 梁发云, 等. 物理性人-机器人交互研究与发展现状[J]. 光学精密工程, 2013, 21	(2): 356–370. 褚卫中. 功能安全技术讲座第二十五讲:功能安全产品设计及解决方案[J]. 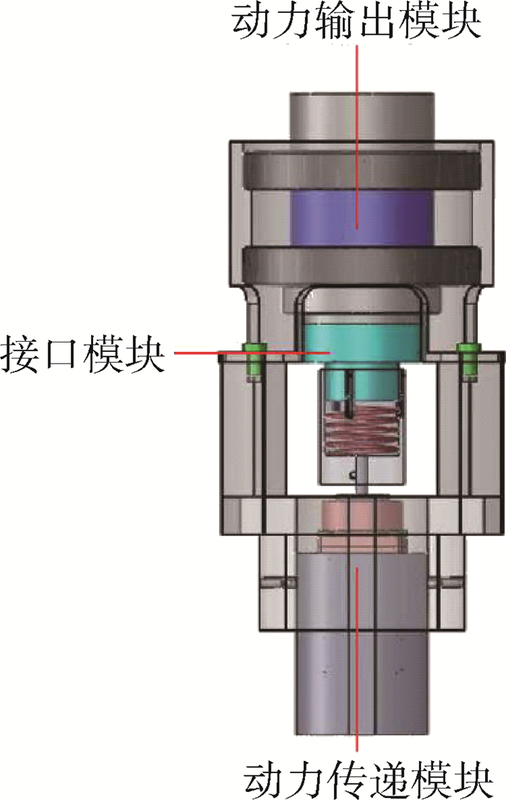 仪器仪表标准化与计量, 2011	(5): 20–23. FRITZSCHE M, SCHULENBURG E, ELKMANN N, et al. Safe human-robot interaction in a life science environment[C]//Proceedings of IEEE International Workshop on Safety, Security and Rescue Robotics. Piscataway, NJ: IEEE Press, 2007: 1-6. 吴海彬, 杨剑鸣. 机器人在人机交互过程中的安全性研究进展[J]. 中国安全科学学报, 2011, 21	(11): 79–86. LACEVIC B, ROCCO P. Kinetostatic danger field-A novel safety assessment for human-robot interaction[C]//Proceedings of IEEE/RSJ International Conference on Intelligent Robots and Systems. Piscataway, NJ: IEEE Press, 2010: 2169-2174. GECKS T, HENRICH D. Human-robot cooperation: Safe pick-and-place operations[C]//IEEE International Workshop on Robot and Human Interactive Communication. Piscataway, NJ: IEEE Press, 2005: 549-554. PEDROCCHI N, VICENTINI F, MALOSIO M, et al. Safe human-robot cooperation in an industrial environment[J]. International Journal of Advanced Robotic Systems, 2013, 10	(1972): 1–13. POLVERINI M P, ZANCHETTIN A M, ROCCO P. Real-time collision avoidance in human-robot interaction based on kinetostatic safety field[C]//Proceedings of IEEE/RSJ International Conference on Intelligent Robots and Systems. Piscataway, NJ: IEEE Press, 2014: 4136-4141. NAJMAEI N, KERMANI M R. Applications of artificial intelligence in safe human-robot interactions[J]. IEEE Transactions on Systems Man & Cybernetics, Part B (Cybernetics), 2011, 41	(2): 448–459. CALINON S, SARDELLITTI I, CALDWELL D G. Learning-based control strategy for safe human-robot interaction exploit-ing task and robot redundancies[C]//Proceedings of IEEE/RSJ International Conference on Intelligent Robots and Systems. Piscataway, NJ: IEEE Press, 2010: 249-254. 祁若龙, 周维佳, 王铁军. 一种基于遗传算法的空间机械臂避障轨迹规划方法[J]. 机器人, 2014, 36	(3): 263–270. LO S Y, CHENG C A, HUANG H P. Virtual impedance control for safe human-robot interaction[J]. Journal of Intelligent & Robotic Systems, 2016, 82	(1): 3–19. 倪杭, 王贺升, 陈卫东. 基于软体机器人冗余自由度的实时避障位置控制[J]. 机器人, 2017, 39	(3): 265–271. 申浩宇, 吴洪涛, 陈柏, 等. 冗余度双臂机器人协调避障算法[J]. 农业机械学报, 2015, 46	(9): 356–361. DMITRY B, HOWIE C, JAMES K. An optimization approach to planning for mobile manipulation[C]//Proceedings of IEEE International Conference on Robotics and Automation(ICRA). Piscataway, NJ: IEEE Press, 2008: 1187-1192. MOHAMED A Z, SANG H, HUNG Y. Autonomous mobile robot system concept based on PSO path planner and vSLAM[C]//Proceedings of IEEE Computer Science and Automation Engineering(CSAE). Piscataway, NJ: IEEE Press, 2011: 10-12. MEDDAHI A, CHELLALI R, BAIZID K. Multi-objective control through evolutionary neuro-controller for interactive mobile robot manipulator[C]//Proceedings of IEEE International Conference on Robotics and Biomimetics. Piscataway, NJ: IEEE Press, 2011: 2914-2918. STACHNISS C, HAHNEL D, BURGARD W. Exploration with active loop-closing for FastSLAM[C]//Proceedings of IEEE/RSJ International Conference on Intelligent Robots and Systems. Piscataway, NJ: IEEE Press, 2005: 1505-1510. MEDDAHI A, CHELLALI R. Adaptive and safe mobile manipulator for human robot interaction[C]//Proceedings of 2013 IEEE Workshop on Robotic Intelligence in Informationally Structured Space. Piscataway, NJ: IEEE Press, 2013: 30-37. DU J, ZHENG P, XIE Z, et al. Research on path planning algorithm based on security patrol robot[C]//Proceedings of 2016 IEEE International Conference on Mechatronics and Automation. Piscataway, NJ: IEEE Press, 2016: 1030-1035. 钱钧, 杨汝清, 翁新华, 等. 一种安全工作于城区环境的消防侦察机器人[J]. 机器人, 2006, 28	(6): 571–575. 韩赞东, 陈强, 尉昊赟. 超声定位技术在汽车安全预警系统中的应用[J]. 测控技术, 2002, 21	(8): 10–12. QUAN Y, ZHANG Y, HAO W, et al. Application of fuzzy algorithm in the direction of intelligent car[C]//Proceedings of International Conference on Future Computer and Communication. Piscataway, NJ: IEEE Press, 2010: 669-673. WANG X, SHEN X, CHANG X, et al. Route identification and direction control of smart car based on CMOS image sensor[C]//Proceedings of ISECS International Colloquium on Computing, Communication, Control, and Management. Piscataway, NJ: IEEE Press, 2008: 176-179. 邹青华. 基于多传感器的移动机器人避障[D]. 杭州: 浙江工业大学, 2011: 26-30. 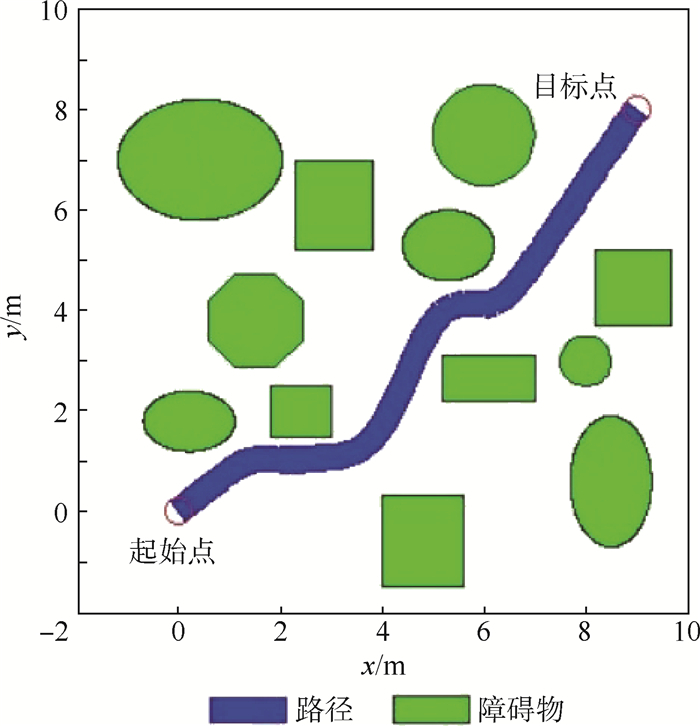 ZOU Q H. Obstacle avoidance of mobile robot based on multi-sensor[D]. Hangzhou: Zhejiang University of Technology, 2011: 26-30(in Chinese). 刘喜昂, 周志宇. 基于多超声传感器的机器人安全避障技术[J]. 测控技术, 2004, 23	(3): 71–73. ULRICH R, CHRISTIAN C, JAN F, et al. Care-O-bot 3-Creating a product vision for service robot applications by integrating design and technology[C]//Proceedings of IEEE/RSJ International Conference on Intelligent Robots and Systems. Piscataway, NJ: IEEE Press, 2009: 1992-1998. 周延霞, 吴玉香, 胡跃明. 非完整移动机械臂的避障运动规划[J]. 微计算机信息, 2007, 23	(35): 234–236. SCHMIDT D, BERNS K. Safe navigation of a wall-climbing robot by methods of risk prediction and suitable counteractive measures[C]//Proceedings of IEEE/RSJ International Conference on Intelligent Robots and Systems. Piscataway, NJ: IEEE Press, 2013: 2309-2314. 王太勇, 许爱芬, 赵丽, 等. 基于冗余控制理论的壁面机器人真空系统的安全性[J]. 天津大学学报, 2008, 41	(3): 261–266. DEHEZ B, SAPIN J, SHOULDE R O. 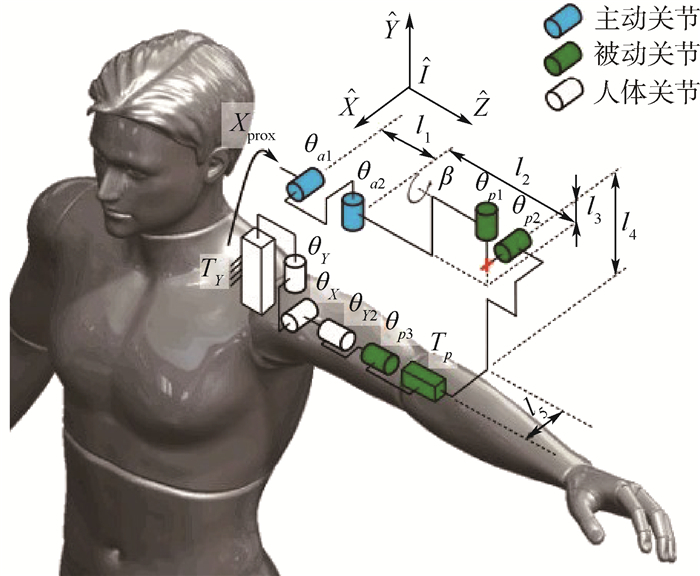 An alignment-free two-DOF rehabilitation robot for the shoulder complex[C]//Proceedings of IEEE International Conference on Rehabilitation Robotics(ICORR). Piscataway, NJ: IEEE Press, 2011: 1-6. GALINSKI D, SAPIN J, DEHEZ B. Optimal design of an alignment-free two-DOF rehabilitation robot for the shoulder complex[C]//Proceedings of IEEE International Conference on Rehabilitation Robotics(ICORR). Piscataway, NJ: IEEE Press, 2013: 1-7. LI J F, ZHANG Z, TAO C, et al. 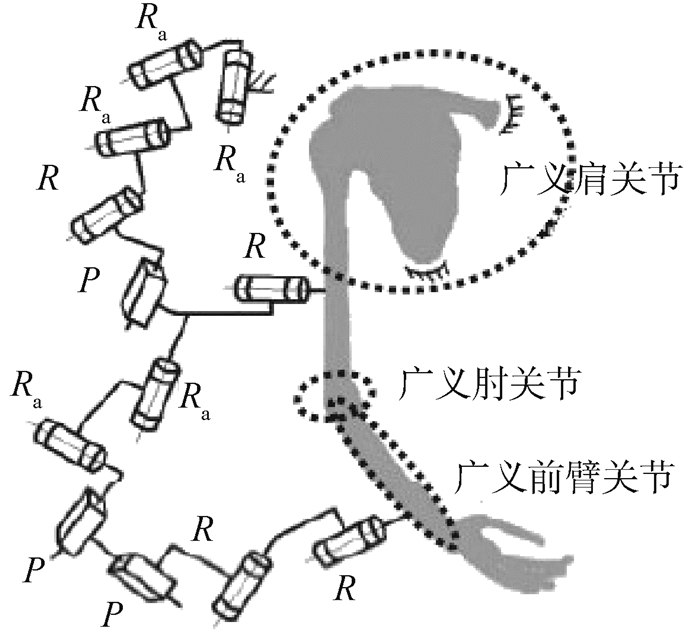 A number synthesis method of the self-adapting upper-limb rehabilitation exoskeletons[J]. International Journal of Advanced Robotic Systems, 2017, 14	(3): 1–14. POLYGERINOS P, LYNE S, WANG Z, et al. 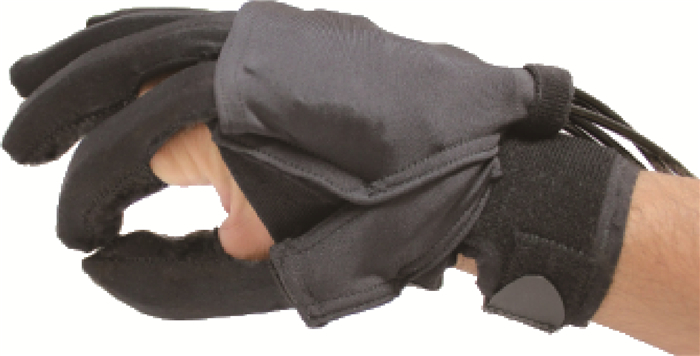 Towards a soft pneumatic glove for hand rehabilitation[C]//Proceedings of 2013 IEEE/RSJ International Conference on Intelligent Robots and Systems (IROS). Piscataway, NJ: IEEE Press, 2013: 1512-1517. POLYGERINOS P, GALLOWAY K C, SAVAGE E, et al. 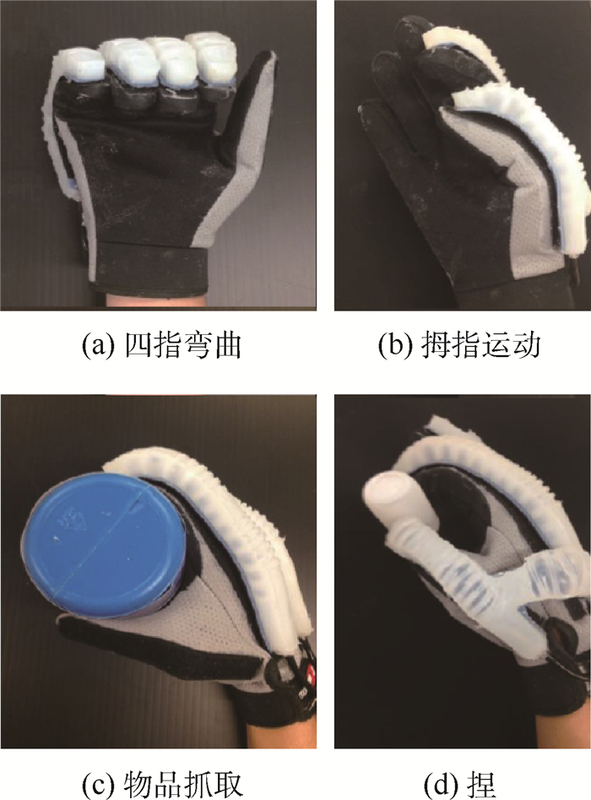 Soft robotic glove for hand rehabilitation and task specific training[C]//Proceedings of IEEE International Conference on Robotics and Automation. Piscataway, NJ: IEEE Press, 2015: 2913-2919. HONG K Y, LIM J H, NASRALLAH F, et al. A soft exoskeleton for hand assistive and rehabilitation application using pneumatic actuators with variable stiffness[C]//IEEE International Conference on Robotics and Automation. Piscataway, NJ: IEEE Press, 2015: 4967-4972. ZINN M, KHATIB O, ROTH B. A new actuation approach for human friendly robot design[C]//IEEE International Conference on Robotics and Automation. Piscataway, NJ: IEEE Press, 2004: 249-254. BICCHI A, TONIETTI G. Fast and soft arm tactics[J]. IEEE Robotics & Automation Magazine, 2004, 11	(2): 22–23. WOLF S, HIRZINGER G. A new variable stiffness design: Matching requirements of the next robot generation[C]//IEEE International Conference on Robotics and Automation. Piscataway, NJ: IEEE Press, 2008: 1741-1746. MORITA T, SUGANO S. Development of 4-DOF manipulator using mechanical impedance adjuster[C]//IEEE International Conference on Robotics and Automation. Piscataway, NJ: IEEE Press, 1996: 2902-2907. PRATT G A, WILLIAMSON M M. Series elastic actuator[C]//Proceedings of the IEEE/RSJ Conference on Intelligent Systems and Robots. Piscataway, NJ: IEEE Press, 1995: 399-406. SIEGEL D, GARABIETA I, HOLLERBACH J M. An integrated tactile and thermal sensor[C]//IEEE International Conference on Robotics and Automation. Piscataway, NJ: IEEE Press, 1986: 1286-1291. MASON M T, SALISBURY J K. Kinematic and force analysis of articulated hands:Robot hands and the mechanics of manipulation[M]. Cambridge: MIT Press, 1988: 2-167. SUSANNER O, ROLF D S. Robot-dummy crash test for robot safety assessment[C]//IEEE International Conference on Robotics and Automation. Piscataway, NJ: IEEE Press, 2007: 2934-2939. KULIC D, CROFT E A. Safe planning for human-robot interaction[C]//Proceedings of IEEE International Conference on Robotics and Automation. Piscataway, NJ: IEEE Press, 2005: 1882-1887. KULIC D, CROFT E A. Real-time safety for human-robot interaction[J]. Robotics & Autonomous Systems, 2006, 54	(1): 1–12. 吴海彬, 彭爱泉, 何素梅. 基于危险指数最小化的机器人安全运动规划[J]. 机械工程学报, 2015, 51	(9): 18–27. 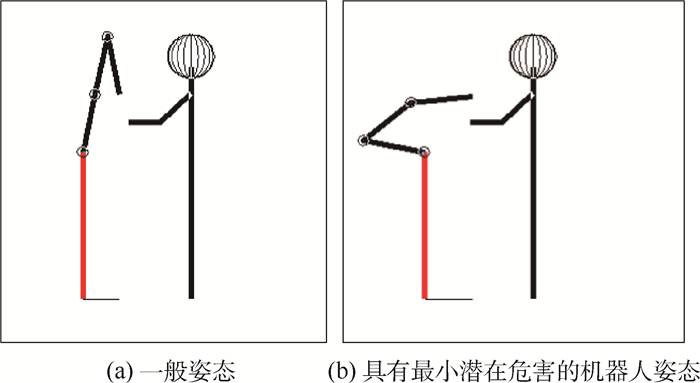 LIU H, DENG X, ZHA H. A planning method for safe interaction between human arms and robot manipulators[C]//Proceedings of IEEE/RSJ International Conference on Intelligent Robots and Systems. Piscataway, NJ: IEEE Press, 2005: 2724-2730. SHARIFI I, DOUSTMOHAMMADI A, TALEBI H A. A singularity-free approach for safe interaction of robot assisted rehabi-litation, based on model-free impedance control[C]//Proceedings of International Conference on Control, Instrumentation, and Automation. Piscataway, NJ: IEEE Press, 2013: 36-41. 杨智勇, 方登建, 张静. 变刚度柔顺驱动器及其在能量辅助骨骼服中的应用[J]. 海军航空工程学院学报, 2013, 28	(5): 459–465. HAM R V, SUGAR T G, VANDERBORGHT B, et al. Compliant actuator designs[J]. IEEE Robotics & Automation Magazine, 2009, 16	(3): 81–94. HURST J W, CHESTNUTT J E, RIZZI A A. 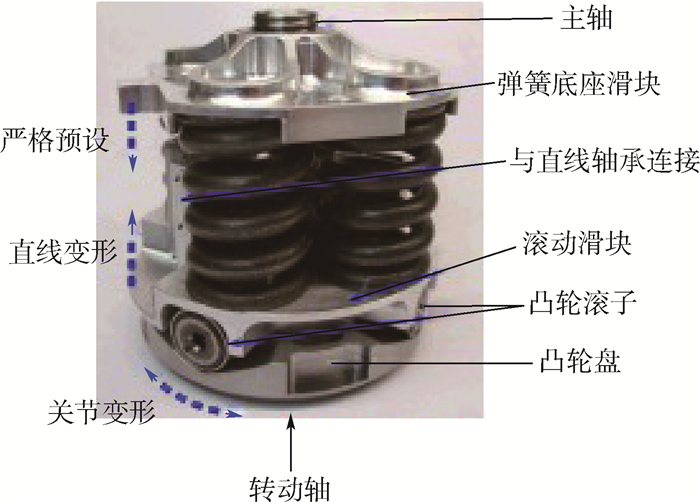 The actuator with mechanically adjustable series compliance[J]. IEEE Transactions on Robotics, 2004, 26	(4): 597–606. JAFARI A, TSAGARAKIS N G, VANDERBORGHT B, et al. A novel actuator with adjustable stiffness(AwAS)[C]//IEEE/RSJ International Conference on Intelligent Robots and Systems. Piscataway, NJ: IEEE Press, 2010: 4201-4206. SERGI F, ACCOTO D, CARPINO G, et al. 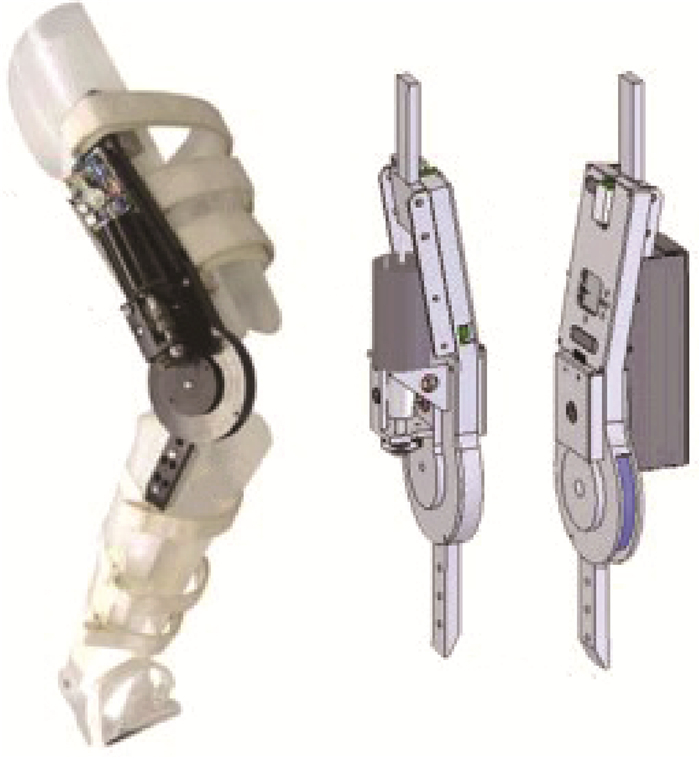 Design and characterization of a compact rotary series elastic actuator for knee assistance during overground walking[C]//Proceedings of the Fourth IEEE RAS/EMBS International Conference on Biome-dical Robotics and Biomechatronics. Piscataway, NJ: IEEE Press, 2012: 1931-1936. LAFFRANCHI M, CHEN L, KASHIRI N, et al. Development and control of a series elastic actuator equipped with a semi active friction damper for human friendly robots[J]. Robotics & Autonomous Systems, 2014, 62	(12): 1827–1836. TONIETTI G, SCHIAVI R, BICCHI A. Design and control of a variable stiffness actuator for safe and fast physical human/robot interaction[C]//Proceedings of IEEE International Conference on Robotics and Automation. Piscataway, NJ: IEEE Press, 2005: 526-531. TSAGARAKIS N G, LAFFRANCHI M, VANDERBORGHT B, et al. A compact soft actuator unit for small scale human friendly robots[C]//Proceedings of IEEE International Conference on Robotics and Automation. Piscataway, NJ: IEEE Press, 2009: 1998-2004.